Completing the game once unlocks EX Mode, which grants you a number of benefits. You carry over any BP you didn't spend in the previous playthrough (plus a 3000 bonus for completing the game), any items stored with Wayne, and the weapon and armor you named at the beginning of Day 6. All enemies are ~50% stronger in this mode, though as you're carrying over an end-game weapon and armor, you probably won't notice this until you're close to the end of the campaign. 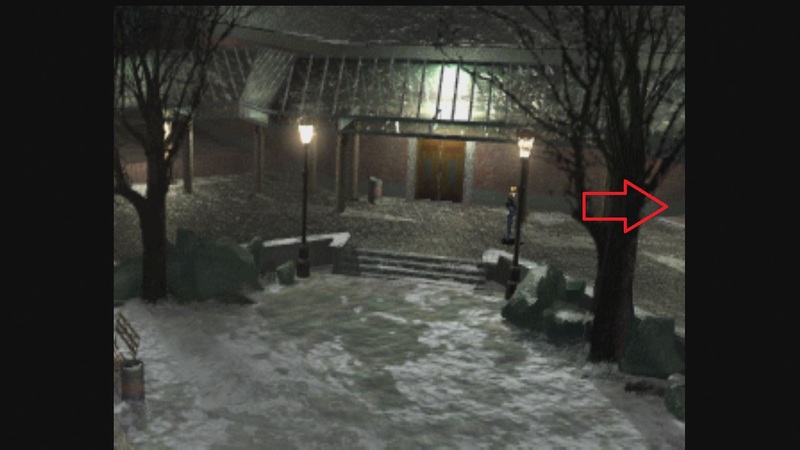 A new area called the Chrysler Building is unlocked starting from Day 2. This is a 77-floor bonus dungeon with mostly randomized floor layouts, a boss fight every ten floors, and a plethora of powerful weapons and armor that can't be acquired anywhere else (easily dwarfing the number and power of those found in the main campaign). At the top lies an optional boss; winning will earn you an alternate ending to the game. As this dungeon tends to be exceptionally long and repetitive (and the bosses are mostly re-textures of earlier ones), I've decided not to show the whole thing. Instead, I'll just show the final battle and give an overview of the process I've used to upgrade my equipment for this run. Both Super Tools. Both are acquired during Day 5. 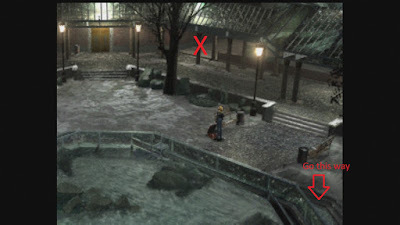 One is in the Chinatown sewers, while the other is in the Museum, behind some broken glass on the second floor in the room two screens left of the lobby (which will be broken in a scene where you head upstairs again from Floor 2 after defeating the T-Rex boss). These should be put in storage and not actually used until the second playthrough. Any throwaway weapon with an ROFx2 modifier. Not 3, 5 or 10; those are garbo. It must be 2. A good weapon and armor to start the EX Game with. I chose the M-8000 for its wonderful Two Commands ability (acquired by defeating the T-Rex) and the CM Protector (found in the second screen of the Warehouse) for its high PE score. 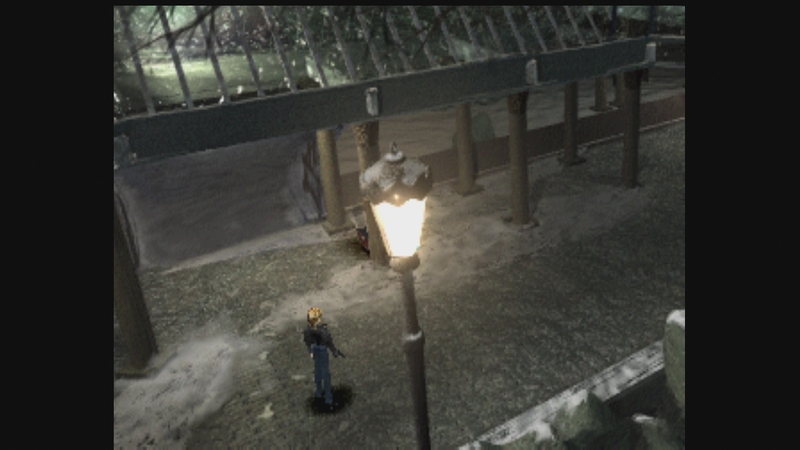 Talk to Wayne and name these on Day 6 so that they carry over to your next playthrough! You'll need to play through the game again until at least Day 4 to get Wayne available behind the counter and to be able to cash in Rare Trading Cards, so do that. I would also highly suggest that as you go through Central Park on Day 2, that you do not take a particular path on your way through the zoo. This will make things much easier for you later. Pick up any weapons and items you missed on the first playthrough. If you need to go to Day 5 to get something (ie Super Tools or the M8000), keep in mind that your last chance to return to the world map is after the T-Rex and before going up to the 4th floor to confront Eve! Head a short distance to the right and you'll get into an encounter with several birds and a monkey. Use your Club on the birds to steal Junk from them, and once all of them are dead, flee the encounter. DO NOT kill the monkey under any circumstances. Now head right again and all of the enemies will respawn. Kill the birds again, collect more junk, run away without killing the monkey. Rinse and repeat. Once your inventory is full, exit Central Park and return to the NYPD. Talk to Wayne and choose "Discard Junk" to add it to your cumulative total. 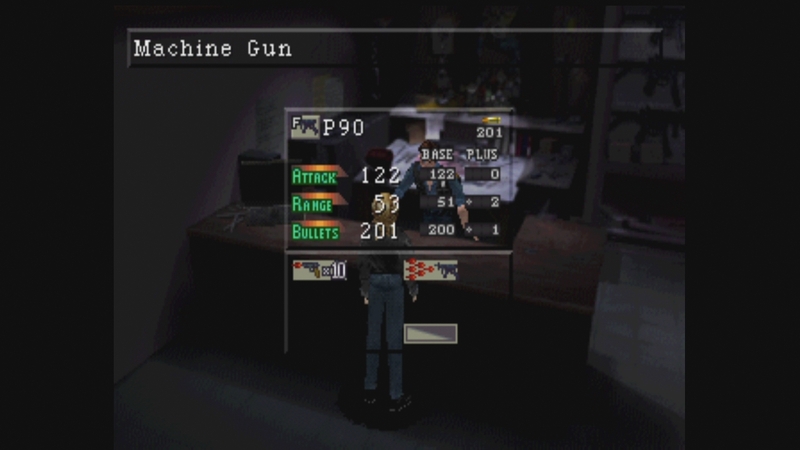 Once you hit 300 total discards (takes ~12 trips in total), Wayne will prompt you for a weapon type to build; choose "machine gun" to get the P90. This will be our ultimate weapon, but it will require preparation. Take the ROFx10 and Attack All mods off it with your Super Tools, then attach the ROFx2, Quick Draw, Burst and Tranquilizer mods to it from the weapons listed above using Tools. Snap your favorite weapon's stats onto it via a Tool as well. It has two more slots you can unlock, but don't spend any of your Trading Cards on it yet. If you have a Tool to spare, you can optionally put the M8000 or M9-3's 2 Commands on it as well. We'll be replacing it with the even more godly 3 Commands later, so you'll eventually have to use another Super Tool (or the Super Tool Kit) to get rid of it, but it will make your life considerably easier in the short term. Each floor has an elevator, a storage room and two stairways - one going up, one back down. Storage room contents are shuffled in each 10 floor block, but each will contain the same treasures each game. So a particular gun/armor will only appear on Floors 21-30 each time you play, for example. Storage rooms themselves are also not shuffled around - once you collect the treasures on Floor 3, for example, they won't appear there again until you start a new game. Elevators and treasure rooms are always in horizontal hallways, while the stairs up and down will always be in vertical hallways. Every set of 10 floors has at least one (but usually two) Rare Trading Cards - make sure you collect these! More on them below. Store rooms can randomly contain "mimic" enemies, which hit you right at the start of the fight for 400+ damage. Always heal up before opening chests, and preferably have at least a few Revives on hand at all times! Once you've collected a floor's treasures and found the stairs up, feel free to move on - there's generally not much to be gained by wandering around further (moreso because enemies here generally give minimal experience). There is a boss on every tenth floor. They will drop a key that will let you take the elevator back to any previous floors you've cleared. Once you defeat a new boss, feel free to put the old key in storage - the key you get on floor 30 will unlock all prior floors, while the floor 10 key will only let you visit floors 1-10, for example. First, collect the Rare Trading cards throughout Chrysler. These work like the standard cards, but they will let you unlock two slots at a time instead of just one. Moreover, once you've turned in enough of them, Wayne will give you two bonuses. For 11, you get the Tool Kit, which works like an unlimited-use Tool. For 14, you get the Super Tool Kit, which works like an unlimited-use Super Tool. Put both in your item storage after you acquire them so you can carry them over to later playthroughs! Use one of your Rare Trading Cards on your P90 to unlock its two slots. Attach the M203-3's Acid effect to one. Be sure to collect the following items as well, and mod them onto your weapons as you do. Hold off on adding any effects to your armor, though - just keep adding any stat upgrades to it for now. Finally, snap your current armor's stats onto the CR Armor 2 with a Tool. You can spend bonus points freely as you acquire them, but I recommend putting them toward your Active Time as top priority, then whatever's left goes to your gun's attack power. 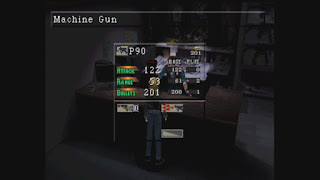 Bosses still do hundreds of points of damage even with a very high defense and PE, but you can put them down much more quickly if you power up your gun, thus greatly lessening the damage you take. The best defense is a fast, relentless offense. Oh, and the quickest place to earn BP is by killing the squirrels that spawn on floors 51-60; they give 250 points apiece if you can manage to take them out before they flee!